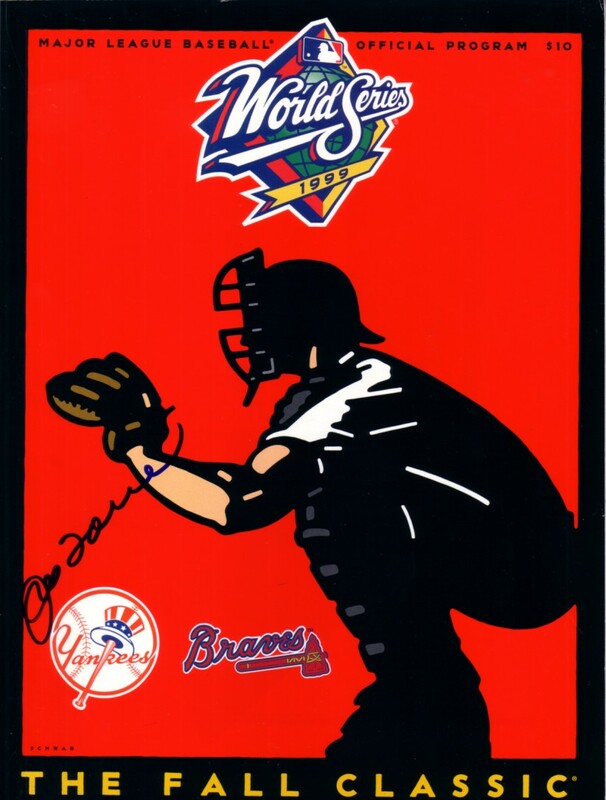 Complete 1999 World Series program autographed on the cover by former New York Yankees manager Joe Torre, who led the team to the third of four titles that year. ONLY ONE AVAILABLE FOR SALE. Obtained in person at celebrity golf tournament many years ago, with certificate of authenticity from AutographsForSale.com.